In the early days of the week Google launched two updates and features: the first deals with Google Tag Manager while the second will help you with your GoogleAds campaigns. Let’s see together what’s new! 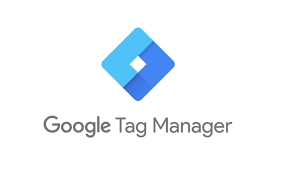 From now on Google Tag Manager lets you combine (using the operator AND) two or more triggers that can be considered as one. That means the trigger group won’t be fired until the instance is not verified for each trigger. If more than one instance is added to a particular trigger, the information will be set inside GTM and the trigger group will be fired only when the trigger will be fired for that specified number of times. We could also think about a kind of “trigger inception” including a trigger group inside another trigger group, but now it seems a little bit “insane”. to set up a trigger group you can go to the section Triggers > New > Trigger Configuration > Trigger Group. Now you can select the triggers and click Add or in case to require multiple instances for the same trigger click + and repeat. Then click Save. When the new feature can be helpful? Consider for example the cookie consent given and the different triggers for events/pageviews and so on. 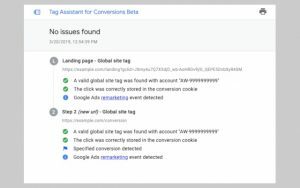 Tag Assistant for Conversions (Beta version) is a Chrome extension completely similar to the standard Tag Assistant, but now specifically intended for Google Ads. Once the Chrome Extension is installed you only need to visit a page of your website and click on the Tag Assistant for Conversions icon. The pages refreshes itself automatically and a gclid parameter is included. From now on you can quietly browse the site and at the same time verify that the ad/remarketing tags are fired and the conversions recorded properly. When the test is completed, click on “End sessions” in the dialog box on your right – open you during the browsing – where you can have a summary of the tags on the page and if they are working correctly. At present you can’t drill down the notifications unlike the standard Tag Assistant, but it is a useful tool for a fast validation of the implementation of the conversion tags if you are running or are about to run a Google Ads campaign. Did you already test it? What do you think?